Matthew asked: What happens if the umpire completely runs out of new baseballs during a game? Rick answered: Matthew, thank you for your question. 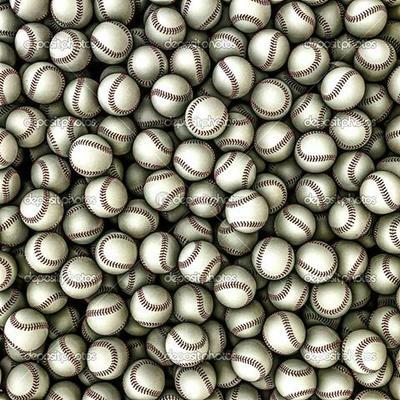 I doubt that it would ever happen, as the teams stockpile so many ball for the season. If it were to occur, I am sure they would go back into their supply of game balls that were taken out of play during that game, use those so they were able to complete the game. As you watch the action in MLB, if a ball touches the ground around home plate, or if a pitcher doesn't like the feel of a ball, it gets taken out of the game. All of those balls would be more than suitable to finish out the game. 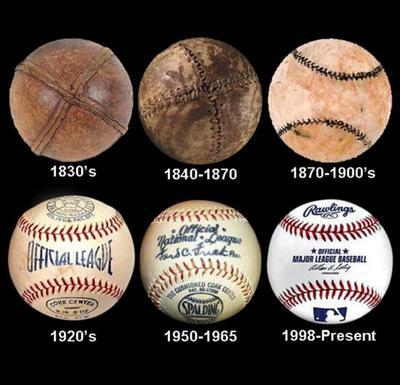 As you can see in the image above, baseballs' have come a long way over the years. Another question is who rubs up the baseball with "mud" if they use more than what the umpiring crew prepared before the game. It is my understanding they prepare 60 game balls but that does not seem hardly enough. It is not unusual to have a batter foul off a half dozen pitches or more.